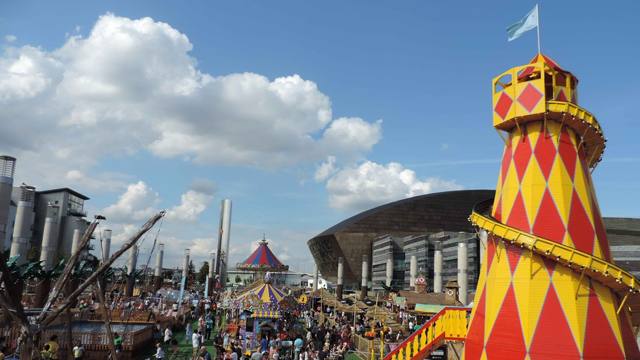 Get your sunglasses and sun cream at the ready for summer in the city in Cardiff Bay. The beach is back! 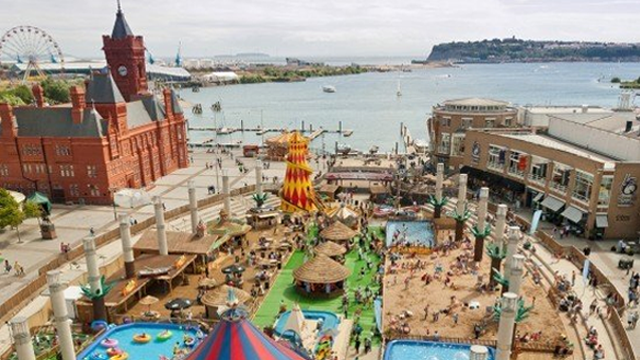 Cardiff will once again create its own seafront with the return of the Cardiff Bay Beach, to entertain families in the traditional way throughout the school holidays. 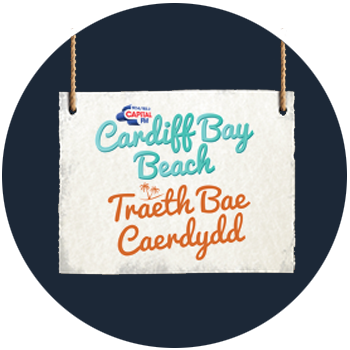 Capital FM Cardiff Bay beach is back! 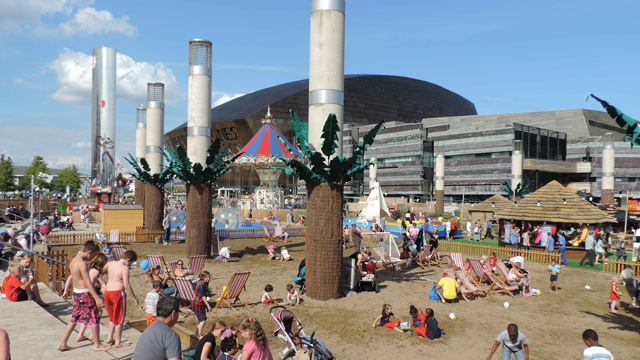 From July 28th – September 3rd, the Roald Dahl Plass will be transformed into an urban beach – with activities & entertainment for all the family! 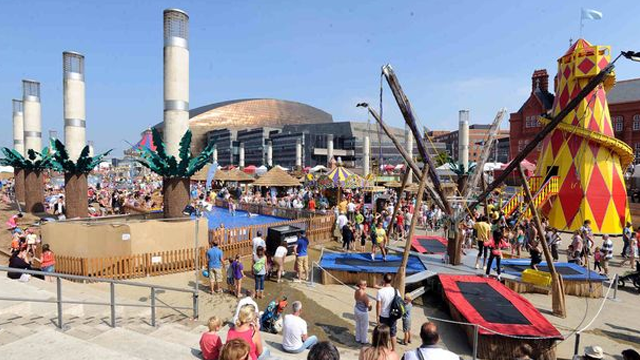 Cardiff council’s cabinet member for culture and leisure, councillor Peter Bradbury, said: “Summer in Cardiff is always packed full of fantastic events and with the return of the Volvo Ocean Race and the Eisteddfod, the next one is already shaping up to be something special.” Operator Sayers Amusements has some exciting news for beach lovers next year – the Cardiff Bay Beach will be expanded in 2018 and move to a new site in Cardiff Bay, with a whole theme park built around it. Crowds enjoy the sun at Cardiff Bay Beach. 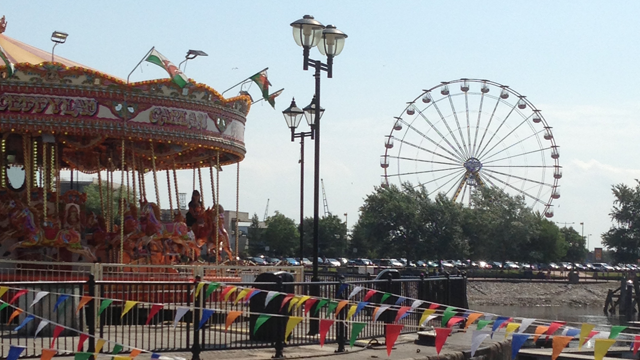 Enjoying the carousel at Cardiff Bay Beach. A perfect way to cool off in the summer sun! A glorious, sunny day at Cardiff Bay Beach.